CC also invites latest news (creative writings, honours, accolades, events, book releases, etc.) from the authors for tagging under the tab YOUR NEWS to provide the wider readership for the purpose of dissemination of knowledge across the globe. A One-Day National Seminar was organized by ELT@I Chapter Rajnandgaon on “English Language Teaching in Rural Area” at Govt. L.C.S. College, Ambagarh Chowki under the super guidance of Prof. B. K. Patel, Prof. Shailesh Kumar Mishra, and Prof. Niresh Kurre, Secretary of ELTAI Rajnandgaon Chapter, where 170 participants from different corners of Chhattisgarh and other states of the country took voluntarily participation in the seminar. Read More. 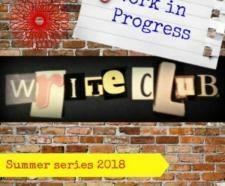 Bristol: WriteClub organized a series of four sessions entitled, ‘Work in Progress’ at 10 Colston Yard, Colston Street, Bristol, Bristol BS1 5BD, United Kingdom on 14th June, 21st June, 5th July, 19th July 2018 at 7-9 p.m. to help the participants develop a piece of creative prose writing– short stories, novel extracts and memoir. Read More. 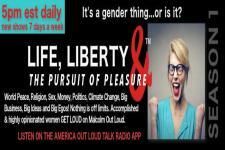 The America Out Loud Talk Radio Network today unveiled its newest show 'Life, Liberty & The Pursuit of Pleasure'. This groundbreaking show, premiering daily starting Saturday, April 8, 2017, at 5:00 pm EST and again at 11:00 pm EST for Season One, brings together 10 extraordinary women from around the globe, plus the incomparable Malcolm Out Loud. Read More. 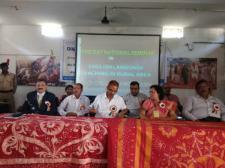 Kashipur: Sep 29-30, 2017: Two-day International Conference on 'Reflections of Buddhism in Southeast Culture and Its Revival & IBEI-YAC Global Peace Award 2017' was organized under the banner of International Buddha Education Institute (IBEI) and Youth Action Committee (YAC) of Uttarakhand at Hotel Gautami Heights, Kashipur, Uttarakhand, where hundreds of Buddhist monks, devotees, intellectuals, social activists, artists, poets, professors, politicians, students and parents from 17 countries of the world (USA, UK, Japan, China, Tibet, Nepal, Bhutan, Sri Lanka, Bangladesh, Myanmar, etc) participated with full attention and enthusiasm. Read More. 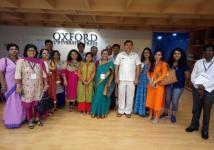 Noida: Oxford University Press India organized a successful workshop on ‘Emerging Trends for English Language and Communication Skills – A Practical Approach’ on July 22, 2017. The two-fold objective of the workshop was to experience best practices in teaching-learning communication skills to students of 21st century and a focused group discussion to identify gap areas in teaching-learning communication skills. Read More. London: London based literary cultural society ‘Vatayan’gave its annual awards for the year 2017 on 24th March 2017 at The Nehru Centre in London. 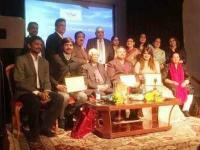 This year, the leading publication house of Hindi, Vani Prakashan and its authors shone on the Vatayan Awards tally. Arun Maheshwari, Managing director, Vani Prakashan, poet Dr. HariOm and cultural activist Smita Parikh were conferred with the Vatayan awards in London for their exemplary contribution to the fields of publishing,literature and cultural awareness. 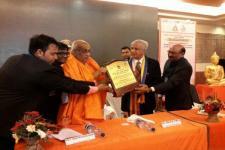 Shri Kesharinath Tripathi, governor, West Bengal, was given the most prestigious Vatayan award, Vatayan Shikhar Samman. Read More. Agra: In what turned out to be a mega-event, Professor Sugata Bose, Gardiner Professor of Oceanic History, Harvard University, USA launched the glittering Re-Markings Special Number titled Bose: Immortal Legend of India's Freedom - New Critical Orientations at Agra on 18 March 2017. Read More. 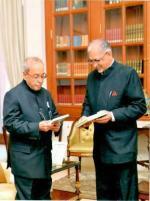 President of India Shri Pronob Mukherjee received from Sujit Mukhejee his book of poems DEWDROPS at the Rastrapati Bhawan on 1st February 2016. He highly appreciated Mr Mukherjee’s poems and mentioned that poetry writing is a rare gift and only the blessed person can write such beautiful poems. He encouraged Mr Mukherjee to continue to write poetry. Read More. 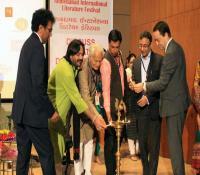 Ahmedabad, Nov 12-13: Ahmedabad International Literature Festival commenced with many leading personalities including poets, writers, storytellers, actors, directors, journalists, publishers, editors, entrepreneurs convening at Ahmedabad Management Association (AMA) for the inaugural ceremony of the fest on Saturday...The LitFest seeks to promote writing, reading, speaking and listening, particularly among children and young adults, with a focus on literature, cinema, media and entrepreneurship providing a rich feast for self-development through value-based messages. The event’s byline is ‘Discuss, Debate, Deconstruct’ with a positive note- ‘You can do it all. Be there.’ Over the course of two days, the fest explores varied themes like the relevance of Indian literature, world literature, Gujarati literature, mythology, poetry, short stories, literary commerce, entrepreneurship, workshops and much more. Read More. Hyderabad: The Osmania University Centre for International Programmes (OUCIP), Hyderabad, India is organizing a Two Day National Seminar on ”Themes and Narratives in Postwar American Fiction” from 27th – 28th December 2016...The seminar will offer a prominent platform to bring together scholars, academics, experts, writers and critics in the domain of American as well as related multidisciplinary areas to discuss and deliberate on issues and concerns in numerous areas central to the human predicament. The seminar will contribute new research topics to the aspiring research scholars as there is greater need to examine the postwar American novel from a fresh perspective. Read More. Gurgaon : Giving Gurgaon a flavor of two famous plays, Magic Creations Mom’s Theatre Group in association with Hindware presented- TARTUFFE by Molière &ANJI by Vijay Tendulkar on Sunday evening at DPS Sec 45 Auditorium, Gurgaon.The first play called TARTUFFE, Hindi adaptation of a comedy by renowned French play writer Moliere and the second presentation called ANJI by none other than Vijay Tendulkargrabbed the audience attention completely. The plays were staged by Magic Creations Moms’ Theatre Group, an all mothers group of Gurgaon who have come together to reclaim their ‘creative kick’! Read More. London: the Vatayan launched its fourth anthology of poems, Native Scents/Watan ki Khushboo (Editor: Divya Mathur, Co-editor: Dr Hilal Fareed, Interviews: Shikha Varshney) in the presence of Ruth Padel, British poet and writer with close connections to conservation, wildlife, Greece and music. In chair was Dr MZA Shakeb, historian and Chairman, Ilmi Majlis-London, who also reviewed the book, which has been part funded by the Big Lottery Fund for Languages & Linguistics. Read More. South Korea: Heavenly Culture World Peace Restoration of Light (HWPL), headquartered in South Korea, sponsored the evening of the 25th of June 2016 at Ottawa City Hall, where Stephen Gill’s book of love sonnets, The Singer of Life, was released by Chandra Arya, Hon’ble Chief Guest of the ceremony. The Hon’ble Guest pointed out the contributions of Canada to world peace and appreciated the works of Stephen Gill as a writer. Read More. The House of Lords, London: the Vatayan Poetry on South Bank Award Ceremony-2016 took place at House of Lords in the presence of the Baroness Flather of Windsor & Maidenhead, Patron of Vatayan, Mr CB Patel, Editor of Gujrat Samachar and Asian Voice Newspapers and Tanya Wells, singer, songwriter and composer. 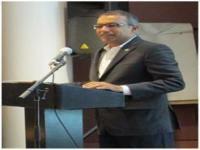 In chair was Dr MZA Shakeb, historian and Chairman, Ilmi Majlis-London. The Annual Vatayan Poetry Award were conferred on the well-known and seasoned poets- Dr Madhu Chaturvedi, Yogesh Patel and Dr Kunwar Bechain. Read More. It gives us immense pleasure to announce the release of No Waiting like Departure (Authorspress, New Delhi) authored by Debasish Lahiri. The occasion was graced by eminent poet and fiction writer Shri Keki N Daruwalla and eminent poet, critic and academician Sukrita Paul Kumar with the flowing nature of Pradipta Mukherjee an associate at IIAS Shimla, Himanchal Pradesh, India. It was sheer delight to speak as Chief Guest to the august gathering on the “Contemporary Relevance of Rudyard Kipling” whose 150th Birth Anniversary was celebrated under the banner of English Literary Society of Agra today, the 12th of March 2016 at Youth Hostel, Agra. Kipling has been a controversial writer and has often been branded a “Jingo Imperialist.” Read More.